Reading the guitar mags and forums you could sometimes be forgiven for thinking that any electric under £2000 won’t sound so good and any under £1000 are not worth looking at, let alone what they say about ‘mid-priced’ models. And ‘affordable’? Forget it. But if you’ve only got £200 can you get a good one? Of course you can. And if it’s reasonably well made, easy for you to play, but needs a bit of a leg up on the sound front then you can always swop out the pickups or buy a ton of pedals! Obviously, these are all made in the Far East, but all the makers produce higher priced and spec’d models that are good, so I am sure that some of their luthier expertise will have rubbed off on these models. Ibanez have always made good guitars with great necks and the Epiphone and Squier are ‘affordable’ versions of their older brothers from Gibson and Fender – rub off the name on the headstock and from a distance they look as cool as the big boys. The Jackson, Aria and Sterling are good quality alternatives and the Yamaha Pacifica has a deserved reputation as a great, well priced guitar. 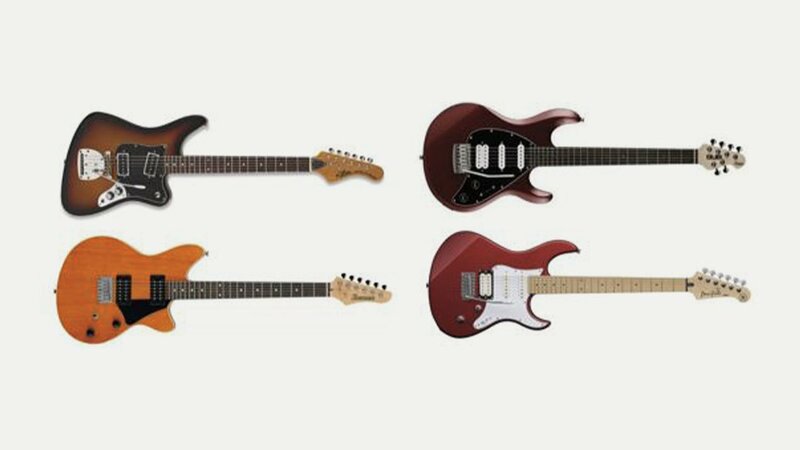 The Squier Affinty series also includes Strat and Tele options at similar prices so choice aplenty with good specifications and a range of colours. Whatever you choose will serve you well until you either move up, or decide it’s a keeper and the one for you. Enjoy!